Make our exciting 83rd Season your own, get the best seats, and save up to 25% off ticket prices with a Series Subscription. Click here for a printable version of our Subscription Form. 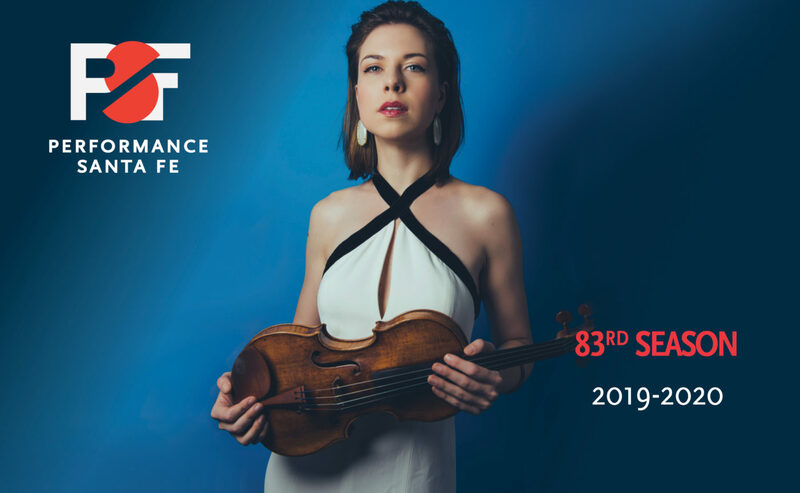 Subscriptions are available from April 3 through May 31, 2019, exclusively through the Performance Santa Fe office. 25% Series Subscription: Build your own subscription of 20 or more tickets to receive a 25% discount. 15% Series Subscription: Build your own subscription of 12-19 tickets to receive a 15% discount. 10% Series Subscription: Build your own subscription of six-11 tickets to receive a 10% discount. We recommend ordering directly through the Performance Santa Fe office as we never charge additional fees for processing or mailing.